Lounger Dimensions: 76Lx24Wx34H. Side Table Dimensions: 19Lx19Wx17H. Lounger Seat Dimensions: 44Dx23Wx13H. Relax while you stretch out or sit upright on this flexible and comfortable lounging recliner from CorLiving. The sleek lines and powder coated steel frame of the PJR-309-R create an elegant look while the ultra durable fabric surface provides ideal comfort for any outdoor patio. Expertly constructed to withstand a range of climates and is UV resistant which prevents discoloration or sun damage. 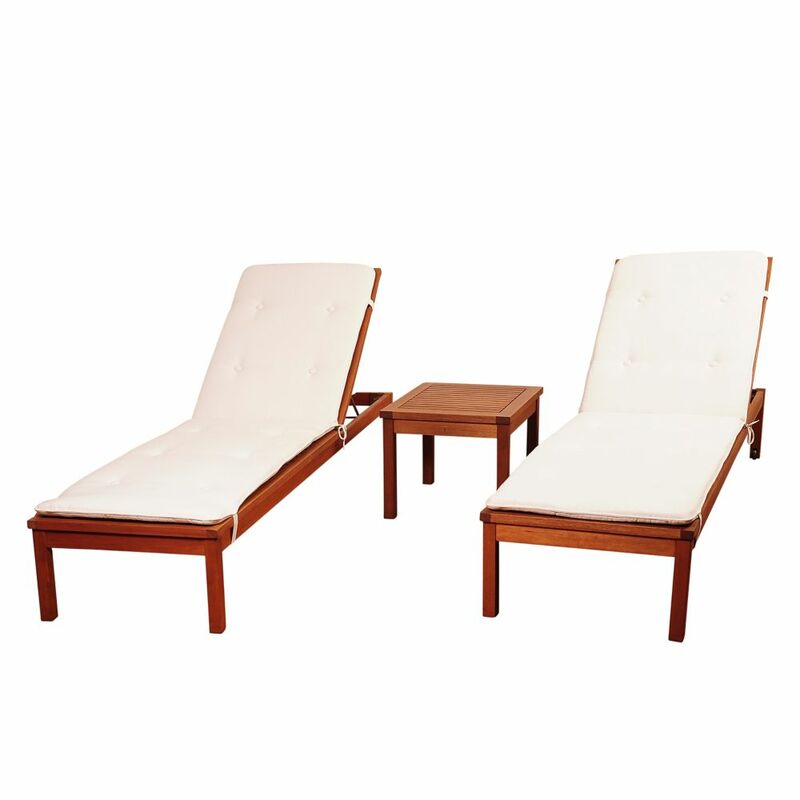 Murano 3-Piece Eucalyptus Wheel Patio Lounger Set with White Cushions The Amazonia Collection is committed to providing premium quality sets with an elegant design that will make your home stand out above the rest. Crafted from solid Eucalyptus Grandis wood, grown in 100% managed forests in Brazil and certified by the FSC (Forest Stewardship Council), this eucalyptus furniture is known for its longevity and craftsmanship at an affordable price. Enjoy your patio in style with these great sets from our Amazonia Collection.